Full Diet Shares and Produce Shares are available for 2019! To sign up go to our Sign Up tab above! 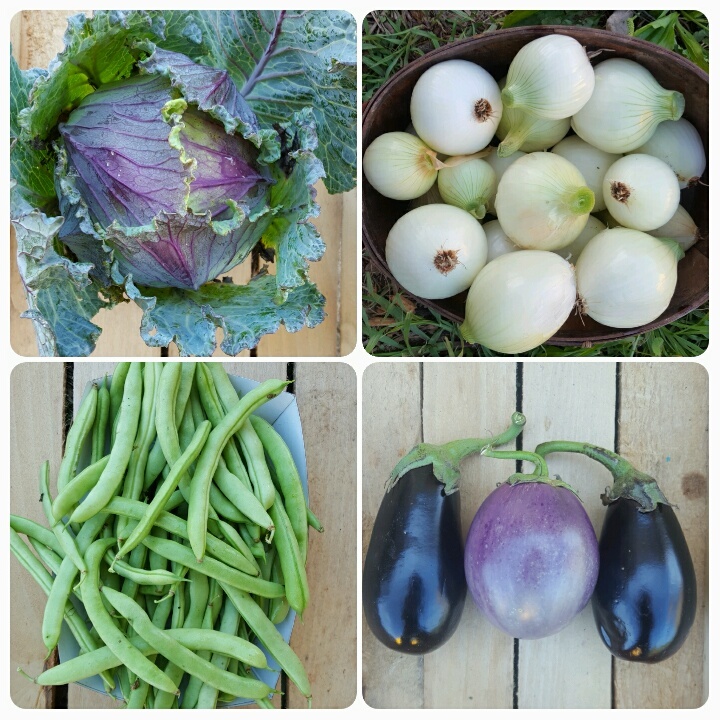 CSA pick up begins May 1st 2019 and goes until the last week of January (9 months). We are truly thankful for the support of our community and look forward to growing so much good food for our members this season! If you love to cook at home, and want to simplify sourcing fresh, local, sustainable ingredients, you're in the right place. For $2.76 a plate or less, we offer a year-round CSA membership that provides all your whole foods. We produce our own vegetables, beef, pork, chicken, turkey, eggs, herbs, and small fruit, and offer breads, dairy, and tree fruit purchased directly from local, conscientious producers. As a member, you visit the farm each week and select exactly what you want and how much you need from what we have available. Q: How much do I take if it’s Free Choice? We ask that you take as much as your think your household will eat in a week. 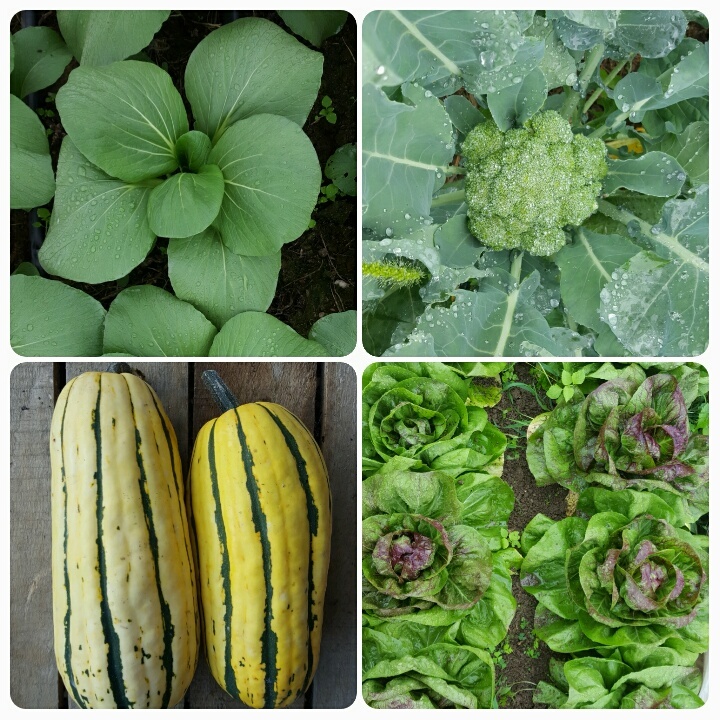 Sometimes we put limits on certain produce when a crop first comes in and we have limited quantities. It takes a few weeks to figure how much your household actually goes through. Q: How do you monitor how much meat people take? When members take meat they need to write down how much they take each week. Meat is the most expensive product we produce so we ask that members limit themselves to 2-4lbs of mixed cuts per week/ per member. This is the amount we can sustainably produce for our members. We now offer Organic dry beans for all our members so you can vary your protein consumption. Q: I have a 4 member household but my husband and son won’t eat anything from the farm, can I sign up for 2 shares? No. This free choice system best works for families or households that eat together. That means everyone in the household needs to be a member. Q: How long is the CSA and do I have to come every week? 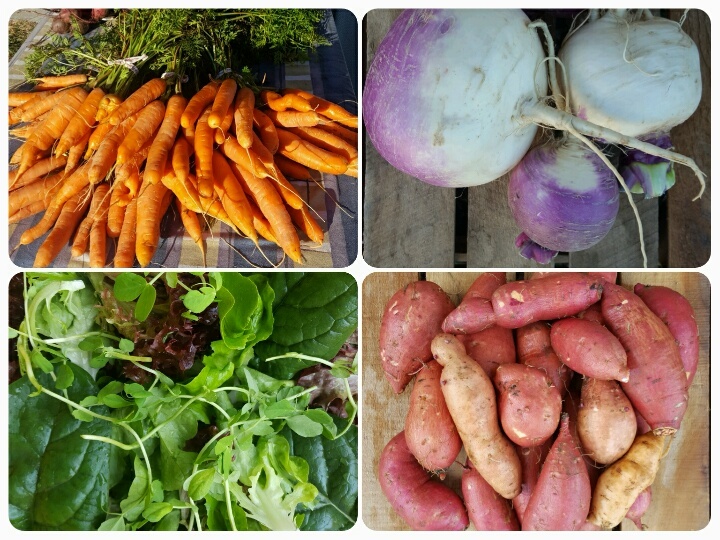 The CSA is 9 month season that starts May 1st and goes to the last week of January. You get 6 weeks of vacation if you need them. That means if you will be away a week, you need to let us know by the Friday of the week before so we can plan accordingly. If you want to save those vacation weeks you can get a friend or family member to take your place. They must pay for the size of their household. If you use up all your vacation weeks and continue to miss pick ups, you will be charged for those weeks. Q: Is this CSA the right choice for me? 1: Members make most of their meals at home. Be it for packed lunches or dinner every night for the whole family members that make many of their meals from home with fresh ingredients find this CSA working for them. 2: If it is convenient for members to make it to the pick up times and days. Some schedules just don’t work for the CSA pick up and if it’s stressful every week trying to make it to the farm you probably won’t enjoy the CSA experience. 3: If you are already or planning on buying mostly Organic or pasture-raised produce and meat at the grocery store. It can be hard to find pastured pork, chicken, turkey and grass-fed beef all in the same place. We make it a little easier by having all of these healthy, clean, local and environmentally focused foods all at one pick-up. 4: Financially Viable. We are very clear from the beginning how much the CSA costs so we expect that when members make the commitment for the season that they have taken the time to determine if this is something they can sustain financially for 9 months.